CSPs need to assure and protect their network assets. Customer expectations and demands continue to grow. Network quality and performance have become clear differentiators. As a result, CSPs must ensure they deliver services and networks that perform and provide the right levels of customer experience, so that they can attract and retain subscribers, minimise churn and protect margins. Polystar offers a complete range of solutions and products that deliver real-time service assurance and network monitoring, helping CSPs to provide outstanding levels of quality, performance and service to their customers. Polystar’s KALIX, OSIX Monitoring, OSIX Export and OSIX Import products help CSPs resolve operational and performance issues, based on real-time data, while gathering historic information and trends to guide future planning and investments. Real-time network and service assurance enable CSPs to meet increased customer demand, provide the best customer experience and deliver exceptional quality. 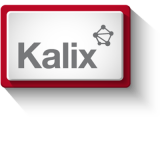 KALIX is an advanced data analysis product that provides user portals optimised for different users and teams. It allows CSPs to sort, filter and prioritise data, enabling proactive network management and rich reporting on events and trends. 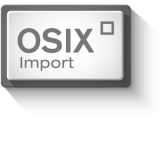 The OSIX Monitoring suite, together with OSIX Export and Import, provides extensive support and tools for real-time data collection from any network, interface and source. Together, these form a single, integrated solution that offers exceptional capabilities and provides the foundation of a comprehensive service assurance portfolio. Increase customer satisfaction levels by delivering better service and coverage that makes a dramatic and measurable positive impact on churn and retention rates. Proactively identify and resolve network and service issues before they are experienced by users, reducing their potential impact and cost. Provide optimal network performance and quality of service by monitoring the most important and relevant network and service metrics. Respond to customer requests faster and provide a better experience, resulting in more satisfied subscribers and reduced operating costs.